There will be a meeting of the Finger Lakes Chapter of Women in Aviation International on Thursday, February 15th, 2018 at 7:00 PM at the East Hill Flying Club, 62 Brown Road, Ithaca, NY. All are welcome and refreshments will be provided. 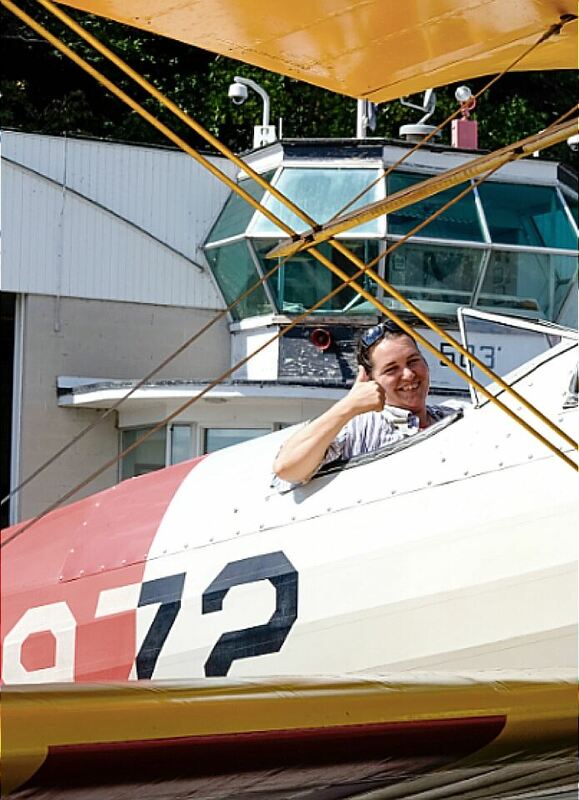 Our presenter will be Ginny Stromberg, who will share her experiences as a banner tow pilot. Ginny has over twelve years of experience flying and most recently received her commercial rating. She has trained at the Andover Flight Academy in New Jersey and has particular expertise in tailwheel aircraft. She will share some of the unique features of banner towing operations, including pick up and release techniques and crosswind approaches. To promote an interest and understanding of the accomplishments and contributions of women to the aviation industry and to engage individuals in aviation education particularly as it relates to women in aviation. 1. Conducts outreach in order to bring more women into all fields of aviation. 2. Promotes education by publicizing training opportunities and scholarships available through WAI. 3. Provides a social and mentoring network for members of the aviation community. WAI is committed to providing universal access to all of our events. Please contact Lisa J. Sansoucy to request disability accommodations.